Here's a list of a dozen lists for understanding Unitarian Universalism and for our shared congregational life. Worship and Celebration. The Sunday service centers congregational life. Religious Education. Learning and growing together -- for both children and adults. Caring for Each Other. The church has a pastoral function. Social Justice. Acting together as a people of faith to promote peace and justice in the world. These are the reasons a church exists. It does many other things -- elect officers, make and amend bylaws, make a budget, maintain a building and grounds, produce newsletters. These things are not the reason the church exists. They are necessary to enable the church to carry out its four functions, but they are not themselves reasons for the church's existence. Worshiping, learning, loving one another, and working for justice are. Source: Rev. Richard S. Gilbert (UU Minister), The Prophetic Imperative: Social Gospel in Theory and Practice, (2000). Membership in a Unitarian Universalist congregation, I explain to prospective members and current members alike, comes with certain expectations. Presence. Membership calls for a commitment to show up, if at all possible, for weekly Sunday worship, and for your monthly "Journey Group" (a small group of 9-16 members). Without a commitment to attendance at these two, membership isn't very meaningful. Participation. Take part in the running of the church. Various items come before the membership for a vote: participate in the discussion, engage the issues, and cast your vote. "Participation" also includes taking part in the programs of the church, helping with various tasks, servng on committees, taking a turn teaching kids' R.E. from time to time. Pledge. The church requires your financial support to sustain itself, of course. More importantly -- since we are a faith organization for nurturing your spirit -- generosity and gratitude are the most basic practices for cultivating spiritual growth. Practice. Practice Unitarian Universalist values and spirituality throughout your life. If you were accused of being a Unitarian Universalist -- and if the evidence of your presence, participation, and pledge were inadmissable -- would there still be enough evidence for a conviction? "Practice" also involves taking up the intentional discipline of a spiritual practice, of which there are many forms. Source: The basic four P's came to me through Rev. Kathleen Rolenz (UU Minister) at the annual assembly of Tennessee UU congregations, 1997. Adapted. A church must be growing -- and growing in four different ways. Numerical growth. Growth in membership numbers (including also number of kids registered for RE and average Sunday attendance of adults and kids), and in budget numbers. Maturational growth. The growth of the members of the church in the maturity of their faith, the depth of their spiritual roots, and the breadth of their religious imaginations. Organic growth. The growth of the church considered as an organism. A healthy organism requires healthy internal organization. For a church, this means policies, processes, practices, programs; practices of leadership recruitment and succession planning; evaluation mechanisms for programs, volunteers, and paid staff; structures for dealing with conflict openly and honestly. Incarnational growth. The growth of the church as the embodiment of its values, hence, it's growth as a presence in the community and in serving needs outside itself. When I'm asked what Unitarian Universalists believe, I frequently reply, "What Unitarian Universalists believe is that your religion isn't about what you believe." So what is religion about? Religion is about the way you live: the ethics and values that guide your life. Religion is about community: the people with whom you choose to join in faith community, and the rituals, songs, and stories that affirm and strengthen community connection. Religion is about experience: the experiences of moments of transcendence, awe, mystery, wonder, beauty, interconnection and oneness. A church is for bringing these three very different things together in such a way that each one can reinforce the other two: so that the values we live by can also help us be in community, and facilitate more frequent and deeper religious experience; so that the community we join can strengthen us in our values and help us make enduring meaning of the moments of religious experience; so that the breakthrough moments of spiritual experience will deepen commitment and understanding of our values, ethical commitments, and appreciation of one another in community. Source: Meredith Garmon (but see also Phyllis Tickle [religion scholar]: religion is a "cable of meaning" composed of three strands: spirituality, corporeality [i.e., the apparatus of community], and morality). Growth. "Religious liberalism depends first on the principle that revelation is continuous. Meaning has not been finally captured. Nothing is complete, and thus nothing is exempt from criticism." Our religious tradition is a living tradition because we are always learning. Freedom. "All relations between persons ought ideally to rest on mutual, free consent and not on coercion." We freely choose to enter into relationship with one another. Justice. We are morally obligated to direct our "effort toward the establishment of a just and loving community. It is this which makes the role of the prophet central and indispensable in liberalism." Social Incarnation. Religious liberals "deny the immaculate conception of virtue and affirm the necessity of social incarnation." Developing just institutions involves the messiness of claiming our power amid conflicting perspectives and needs, rather than the purity of ahistorical, decontextualized ideals. Hope. "The resources (divine and human) that are available for the achievement of meaningful change justify an attitude of ultimate optimism." It's a blessing you were born. Your experience of the divine is true. Source: adapted from lyrics by Laila Ibrahim for a "Chalice Camp" children's song. Self-forgetfulness. The proclivity for becoming so immersed in an activity that the boundary between self and other seems to fall away. Transpersonal identification. Recognizing oneself in others -- and others in oneself. Acceptance. The ability to accept and affirm reality just as it is, even the hard parts, even the painful and tragic parts. Source: Robert Cloninger (psychologist, creator of the TCI), adapted. Whatever your primary spiritual practice may be -- playing music, hiking, quilting, gardening, or any of myriad other possibilities -- your practice will benefit from also taking up these five practices to provide a solid foundation for your spiritual growth. Study. Daily. Choose writings that seem to you to offer spiritual wisdom and insight. Spend some time studying them every day for at least 15 minutes. Journal. Daily. Journal about your reflections on spiritual subjects, your experiences of the last day and what they meant to you, and what you're grateful for. Journal every day for at least 15 minutes. Silence. Daily. Sit still and quiet. Bring your attention to the sensations of your breath coming in and going out. When thoughts arise, make a note of what sort of thought it was, and then return to awareness of the sensations of breathing. Set aside some time -- at least 15 minutes -- every day to experience stillness and silence. Group meeting. Monthly, at least; fortnightly or weekly, if do-able. Meeting regularly with a group that shares your spiritual practice provides additional insights and helps maintain the motivation for practice. We need to have friends along the path. Resolve for mindfulness. Continuously. Throughout the day, keep bringing yourself back to the present moment. Narrative and Mythic: Stories (often regarded as revealed) that work on several levels. Sometimes narratives fit together into a fairly complete and systematic interpretation of the universe and humans' place in it. Doctrinal and Philosophical: Systematic formaulation of religious teachings in an intellectually coherent form. Material: Ordinary objects or places that symbolize or manifest the sacred of supernatural. Congregations can't make people advance to higher stages of faith development, nor can they even test with much accuracy who is at what stage. Nevertheless, nurturing and encouraging people toward greater faith development is the function of a faith institution. Stage 1 – "Intuitive-Projective" faith (ages of three to seven), is characterized by the psyche's unprotected exposure to the Unconscious, and marked by a relative fluidity of thought patterns. Religion is learned mainly through experiences, stories, images, and the people that one comes in contact with. Stage 2 – "Mythic-Literal" faith (mostly in school children), stage two persons have a strong belief in the justice and reciprocity of the universe, and their deities are almost always anthropomorphic. During this time metaphors and symbolic language are often misunderstood and are taken literally. Stage 3 – "Synthetic-Conventional" faith (arising in adolescence; aged 12 to adulthood) characterized by conformity to religious authority and the development of a personal identity. Any conflicts with one's beliefs are ignored at this stage due to the fear of threat from inconsistencies. Stage 4 – "Individuative-Reflective" faith (usually mid-twenties to late thirties) a stage of angst and struggle. The individual takes personal responsibility for his or her beliefs and feelings. As one is able to reflect on one's own beliefs, there is an openness to a new complexity of faith, but this also increases the awareness of conflicts in one's belief. Stage 5 – "Conjunctive" faith (mid-life crisis) acknowledges paradox and transcendence relating reality behind the symbols of inherited systems. The individual resolves conflicts from previous stages by a complex understanding of a multidimensional, interdependent "truth" that cannot be explained by any particular statement. Stage 6 – "Universalizing" faith, or what some might call "enlightenment." The individual would treat any person with compassion as he or she views people as from a universal community, and should be treated with universal principles of love and justice. Source: James Fowler (summary from Wikipedia). 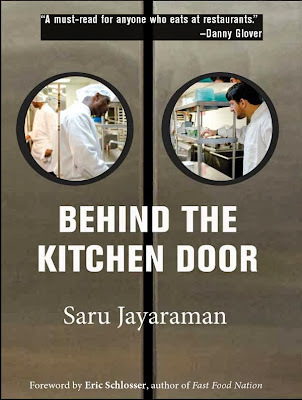 Saru Jayaraman, Behind the Kitchen Door (2013). "A Common Read invites participants to read and discuss the same book in a given period of time. A Common Read can build community in our congregations and our movement by giving diverse people a shared experience, shared language, and a basis for deep, meaningful conversations." 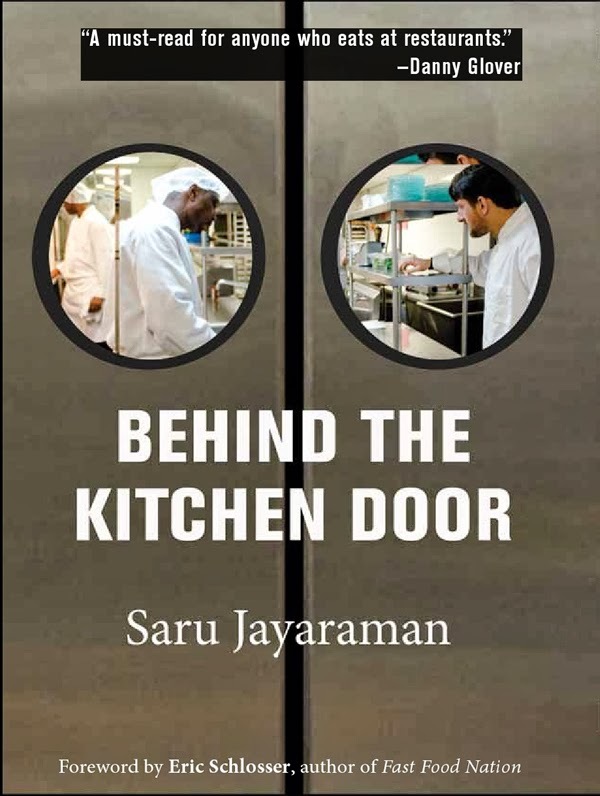 Behind the Kitchen Door "reveals how restaurant workers live on some of the lowest wages in America and how poor working conditions—discriminatory labor practices, exploitation, and unsanitary kitchens—affect the meals that arrive at our restaurant tables. The author, who launched a national restaurant workers organization after 9/11, tells the stories of ten restaurant workers in cities across the United States as she explores the political, economic, and moral implications of eating out: What’s at stake when we choose a restaurant is not only our own health or “foodie” experience but also the health and well-being of the second largest private sector workforce—10 million people, many immigrants, many people of color, who bring passion, tenacity, and insight into the American dining experience. "Behind the Kitchen Door invites Unitarian Universalists to intentionally consider their practices in restaurant dining. It makes visible the lives of people who are subject to discrimination and oppression based on economic status, race, ethnicity, gender, and/or immigration status. Common Read groups are encouraged to let Behind the Kitchen Door inspire follow-up action, such as advocacy for just working conditions for restaurant workers, as part of a commitment to ethical eating. Use the UUA's economic justice resources to learn about minimum wage campaign and actions you and your congregation can take to help." (UUA Website). Copies are available for sale at CUC. See Jane Dixon. From the UUA Bookstore, HERE. Meredith is scheduled to preach about the topic on Sun Jan 26. Then, on Sun Feb 23, after the service, we'll have Adult RE to talk about the book. 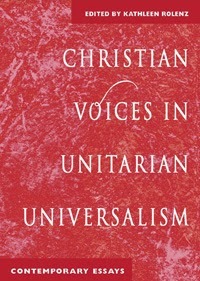 Both the seven principles and the six sources of Unitarian Universalism affirm and encourage Unitarian Universalists in exploring world faith traditions while maintaining their UU identity. Buddhist Voices in Unitarian Universalism brings together for the first time the voices of UUs who have become Buddhists while not sacrificing UU identity, and Buddhists who have found in Unitarian Universalism a spiritual home where they can sustain a practice and join in an activist religious community that accepts and encourages who they are. Also included is an exploration of how American Buddhism has been influenced by Unitarian Universalism and how UU congregations are being changed by Buddhist practice. This new anthology includes essays by James Ford, Sam Trumbore, and Meredith Garmon. Fifteen personal stories from laity and clergy alike show what it means to be a Unitarian Universalist Christian today. These men and women arrive at their faith by many paths -- influenced by the Bible, Jesus Christ Superstar, and even the Bernstein Mass. Here is a fresh and much-needed look at UU Christians, who, for decades, have kept the work and spirit of Christianity alive in our liberal religion. The editor, Rev. 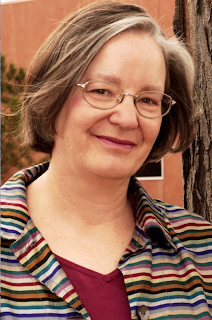 Kathleen Rolenz, is parish co-minister of West Shore UU Church with her husband, Rev. Wayne Arnason. Foreword by Carl Scovel. or from Amazon: click here. In a fresh collection of thoughtful essays, 20 writers explore the blessings and challenges of Jewish Unitarian Universalist identity and community. 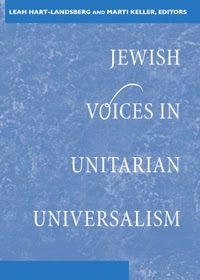 While there has been a long and consistent presence of Jewish culture and people in Unitarian Universalism, this poignant anthology is the first to give voice to this community's struggles, wisdom, and contributions. 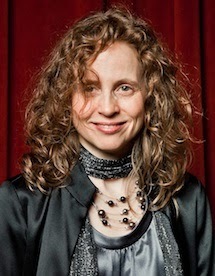 Essayists include born Jews who came to Unitarian Universalism, Unitarian Universalists who adopted Judaism as a spiritual path, and Unitarian Universalists who have encountered Judaism in diverse ways. Advance order from the UUA bookstore: click here. I was at the "Defying Gravity: Leadership Day" at Shelter Rock UU Congregation on Sat Nov 9. Our DRE, Lily Rappaport, as well as Al Rocchi, Nicky Klemens, and Jeff and Denice Tomlinson were also there. We heard a mentor of mine, Rev. Christine Robinson. For me, what she said was an excellent reminder of what I have read her saying before: The world is changing, and the things that made UU attractive one, two, and three generations ago won't work so well with the Gen Xers and the Millenials. Adapt or die! But what might adapting looking like? Consider Christine's thoughts: CLICK HERE. It was a fun day! Thanks to Lily, Al, Nicky, Jeff, and Denice for their participation. I'd have liked to have seen a lot more of us at the event. If you didn't make it, I believe you'd have found it a wonderful and energizing way to spend a Saturday. The Unitarian Universalist Christian Fellowship (UUCF) is a national organization supporting UU Christians. The Metro NY chapter of the UUCF meets at Community Church of NY (40 E 35th St, Manhattan) on the third Thu evening of each month. For 2013-2014, the chapter is discussing The Gospel of Thomas, looking closely at this occasionally scandalous scripture and also the exciting new scholarship that has been done about it in recent decades. Christian or Christian-curious UUs are encouraged to attend. "Scholars' Version of Gospel of Thomas"
"Order of Service and Resources"
Whatever Social Justice work CUC is able to gear up for, I think our best bet is teaming up with others. Working together with other congregations that share a similar commitment to justice we can do much more than we ever could by ourselves. There is an interfaith organization in Westchester County called "Westchester United." It's only a few years old (got started in 2011). Weschester United could be an organization with which CUC can be very meaningfully involved in ways that are transformative for our members and our community. So far, the UU Fellowship of Northern Westchester (Mt. Kisco) is the only one of the five UU congregations in Westchester County to have joined Westchester United. Maybe CUC should become the second? Westchester United is an IAF (Industrial Areas Foundation) organization. IAF is the organization created by Saul Alinsky in Chicago in the 1930s. Today there are 57 IAF afflilate organizations in 23 states-and-the-District-of-Columbia. See the brief Wikipedia entry on "Congregation-Based Community Organizing" (CBCO): CLICK HERE. The UUA encourages UU congregations to be involved with CBCO. See the UUA webpage on CBCO: CLICK HERE. See the PDF of the 28-page UUA publication on CBCO, A Social Justice Approach to Revitializing Congregational Life (2006): HERE. At our GA 2013 in Louisville, Dr. Richard Wood presented "Building Bridges and Power: Advances in Congregation-Based Organizing." Hear the audio HERE while seeing his slides HERE. PICO (originally, "Pacific Institute for Community Organization," now "People Improving Communities through Organizing"): 52 federations in 18 states. http://www.piconetwork.org/. Nearby, there are PICO federations in Queens; Homer, NY; Camden, NJ; and Trenton, NJ. Gamaliel Foundation: 39 affiliates in 17 states. http://www.gamaliel.org/. The Gamaliel affiliates in NY are in Long Island (Riverhead), Syracuse, Buffalo, and Niagara Falls. DART (Direct Action and Research Training center): 20 affiliated CBCOs in 7 southern and midwestern states. http://www.thedartcenter.org/. Some of these organizations also include schools, unions, or other community associations. Mostly, though, they consist of congregations.